Walk to East Orleans Beach! Finest Neighborhood..Central A/C! 3 bedrooms, 2 baths, outside shower, sleeps (6), extra folding bed @ extra cost. Open your door and walk 1/2 mile to Nauset Harbor Beach for a swim and spectacular Atlantic Ocean views! 11 Freeman Lane has an exquisite Cape Cod nautical interior and cool central air conditioning system for your comfort . The super relaxing living room is graced with two Italian leather sofas and an imported Swedish teak and marble cocktail table naturally illuminated by an overhead skylight. "Stressless" reclining leather chairs with ottomans can be found in the living room and the cathedral ceiling sun room complete with a breakfast/lunch table surrounded on three sides by nature and privacy. For those stressed out nerves this is the perfect 'therapy room' which gives to a wrap-around deck made for cooking out or just hanging out. Location! Location! Location! Exclusive East Orleans Snow Point Peninsula location surrounded by salt water with no through traffic has long been known for its historic Captain's homes and Cape Cod charm. View the osprey nest just down the street on Robert's Cove! Have children or grandchildren (maximum 2)? They will be totally occupied and will not want to leave the on-deck kiddie pool off the sun room (6' X 6' plastic; please request if needed). Life is a ball for the kids on the top grade "Child Life" jungle gym with swings/slide and a sand box! After the beach, rinse off in the redwood shower built for two. There is a library of books and games for, heaven forbid, a rainy day. Boogie boards , beach chairs, umbrella, beach cooler and beach toys are all awaiting your arrival. Top shelf Linens and Towels are provided and in place. Bose sound system, (2) flat screen TV's with pay channels. Cutting edge fast WiFi. Free hard line phone service in USA/Canada. Gorgeous flower arrangements from Luima's cutting garden! Enjoy the ultimate in comfort and location from owners striving to provide you with vacation perfection for 18 seasons. Experience the difference; experience a vacation with Briar Point Properties! ABSOLUTELY NO PETS. Maximum occupancy of children at this property is two. Sunday to Sunday WEEKLY rentals only. This is a smoke-free environment; a smoking area is provided on the outside deck. Additional fees: $70 processing and a refundable $500 damage/security deposit. We reserve the right to change our rates and our terms of rental. State and local taxes apply (12.45%). Tax will be paid at time of second payment by separate check. Christopher and Luima Frey offer a luxurious maritime themed home in the finest of East Orleans locations to vacationers seeking the very best of Cape Cod accommodations. Christopher has 48 years serving the public's real estate and construction needs in the Lower Cape area. He is a former realtor and general contractor licensed by the State of Massachusetts. Luima has seven years of experience working with a Venezuelan real estate and construction company as well as extensive experience as a chef and florist. Together they make a summer lodging management team which is constantly striving to present you with an unbeatable Cape Cod vacation experience! The best of locations in prestigious East Orleans. Walk to the beach (1/2 mile). Complete privacy on three sides of the property. Freeman Lane is not a through street. Everything is in top working order and immaculately clean. We are local residents of Orleans for 50 years and are just a 10 minute drive from Freeman Lane if you should have a service issue. Walk to Nauset Harbor Beach! Orleans is Cape Cod's most popular family destination. 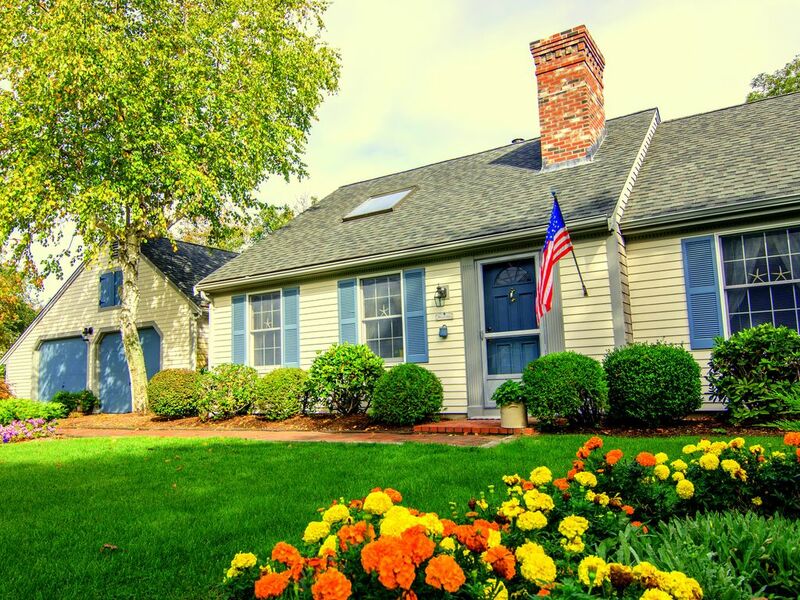 The town is nestled between the spectacular beaches of the Atlantic Ocean and the tranquil coves and harbors of Cape Cod Bay. It is steeped in maritime history, old captain's houses, specialty shops, excellent restaurants and is the commercial hub of the Lower Cape. 11 Freeman Lane is situated on the spectacular peninsula of Snow Point; surrounded by water. See the Osprey nest just down the road on scenic Robert's Cove; this is Cape Cod at it's best! Gorgeous nature walks abound and it's only minutes to three major shopping plazas. Take a swim at Nauset Harbor Beach just a 1/2 mile walk from your front door. Super sunsets on Cape Cod Bay are the norm at Rock Harbor where you can charter a deep sea fishing boat. The kids will love the warm water at the bay side Skaket Beach. Are you a 'life is a beach' type person? Ten miles of pristine white sand at Nauset Beach is just 10 minutes away! Absolutely no pets. Check in time: 3:00 P.M. Sunday. Check out time: 10:00 A.M. the following Sunday. One week minimum rentals. This is a smoke free rental. Tax (12.45%) will be paid by check to the owner at the time of second payment.